Dogs are man’s best friend. Keeping them healthy and happy is a priority for every pet owner. Regular visits to the veterinarian are important to ensure our pets are getting the care they need. 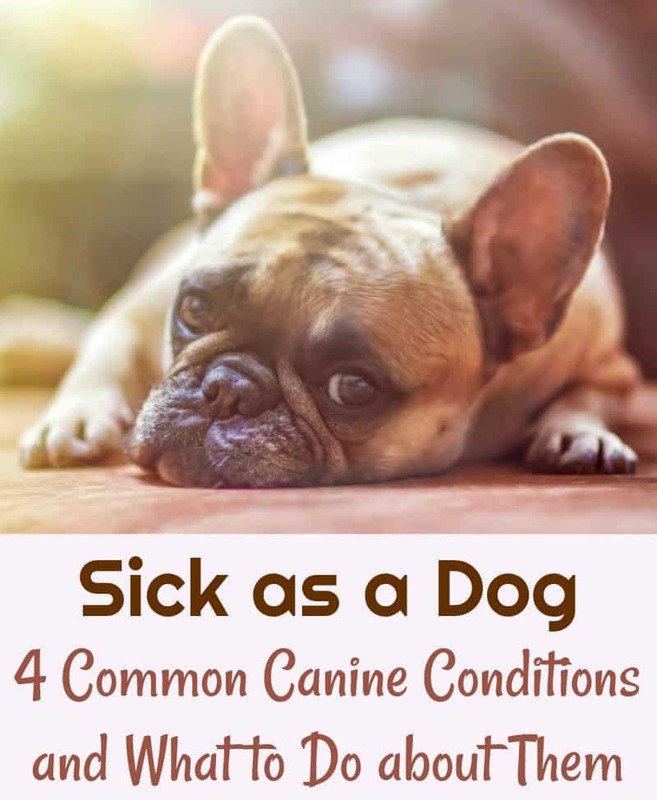 Just like humans, dogs can get sick and sometimes need additional care. Here are some common conditions. Fleas are tiny biting bugs that are often found on dogs. They can quickly reproduce and cause a lot of problems in your home as well as for your pup. In addition, the itching that they cause can bring about skin rashes and sores which can lead to infections. There are many different ways to protect your pup from fleas, from over the counter flea collars to prescription pills and topical ointments and sprays. Work with your veterinarian to pick the right flea preventative for you and your dog. If your dog does get fleas, these preventatives can help get rid of existing fleas but you might still need to use an additional flea shampoo, fast-acting chemical treatment, or prescription. Rabies is a contagious and lethal viral disease in mammals. It is transmitted by bite from an infected animal. The disease attacks the central nervous system. Some symptoms include fever, jaw drop, and seizures. Vaccinating your dog regularly and minimizing contact with wild animals can help prevent your pet from contracting the virus. Rabies is viewed as a public health threat as it can be transferred to humans. If a dog contracts the disease it is usually euthanized. This is why prevention is so important. “Hot spots” or itchy patches of skin are areas that dogs have consistently scratched until they are raw and irritated. This often results in sores and scratches that are ripe for infection. These spots can cause extreme discomfort and health issues for your dog. Hot spots are generally treated with a cortisone shot and/or cream to help heal them before they get any worse. Antibiotics may be added if a secondary infection is apparent. While healing, many dog owners will use a collar to prevent the dog from licking the affected area. It’s also a good idea to understand the root cause of the irritation in order to prevent future occurrences. These could include allergies, contact dermatitis, ringworm, and more. There are several types of worms, including tapeworms, whipworms, roundworms, and hookworms that commonly affect dogs. Most worm infestations are treatable and only cause minor discomfort to your pet in the form of diarrhea and vomiting, but be quick to assist puppies as hookworms can be fatal if left untreated. Dogs pick up worms from contaminated soil or stool. A veterinarian can determine which type of worm your dog has with a stool sample. Treatment will depend on worm type, but it is usually administered orally. With the help of regular veterinary visits, you can help your precious pups stay in tiptop shape. Take the time to find the best vet and veterinary hospital for you and your pet and you’ll both be on your way to healthy, happy times together. Thanks for the great info. I am still learning a lot about dogs.